New Wave Domesticity: Liebster Award : Probably More Than You Ever Wanted to Know About Me! 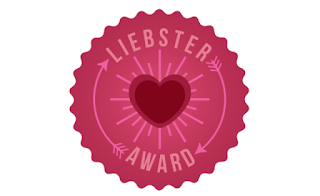 Liebster Award : Probably More Than You Ever Wanted to Know About Me! The always lovely & inspiring Sarah @ Exploring Woods nominated me for a Liebster Award! I can't say no to a list and I really love the idea of the Liebster, so here we go! If you aren't familiar with the Liebster Award, it recognizes new and upcoming bloggers with less than 200 registered readers who deserve some kind of recognition and support for their contribution. Go to their page and inform them of the nomination. 1. 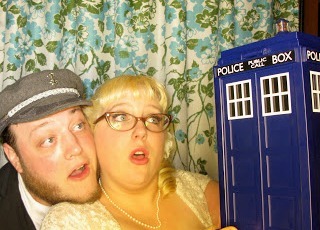 I really like Dr. Who...like so much so that our wedding party walked down the isle to the Dr. Who theme song. 2. There was a brief point in my childhood where I wanted to be a llama when I grew up. My mother loves to tell that story to people. Then I wanted to be a veterinarian, but as an adult I realized that career involved too much poop and blood to be realistic for me. 3. I'm a tornado of clutter. I can't help it. I've been working on being better and getting more organized. My husband is amazing at wrangling it all in so that our house isn't a disaster all the time, but if we clean on the weekend, I will create a mess by Wednesday. I have to remind myself a lot when I yard sale that there is a fine line between treasure hunting and hoarding. 4. I don't really love photos of myself, but I can't resist an old fashioned photobooth. 5. I really love fancy pens. A good pen makes me want to write lists and fill up pages and it's so much more gratifying when I do. If I can't find a good pen, it kind of bothers me to be using a regular ballpoint in my beloved day planner. My favorite are Papermate flairs. 6. 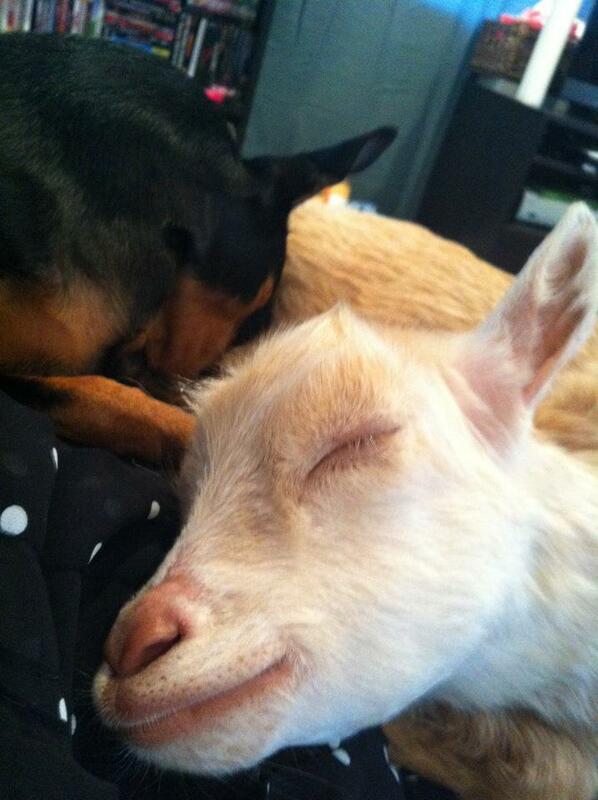 I don't want to have children. It's just something that has never appealed to me and I'm also not very good at interacting with them...probably for that reason. 7. Growing up, my mom never used spices in her food, so my first experiences with herbs and spices only happened once I moved out on my own. Now, I am always super excited about trying new herbs in the garden or adding new spices to our overflowing spice shelf. 8. I don't like garlic. Sad, but true. 9. I still have a PA/Jersey accent sometimes and I really hope it never goes away. It tends to come out more when I'm drunk. I can't say "dog" without the "w". 10. When planning a vacation (of just dreaming of one), I often plan around what kind of animals I will get to see or interact with. For our 5th dating anniversary, Bryan and I drove 6 hours just to hold a baby tiger. Worth it. 11. I over-explain things frequently. 1. If you drink, what's your all time favorite drink? Oh! This is hard! My go to is a vodka-7 or a vodka soda. If I'm feeling fancy, I love infused vodkas with a splash of soda. My favorite beers are Pyramid Apricot Ale & McMennamins Ruby Ale. 2. Are you growing any plants inside or out? I am growing so many plants! I have a massive container garden on my deck, a few small beds with tomatoes, rosemary, and cucumbers out front, and 3 beds on the side. We also have some raspberry and blackberry bushes around the house. The harvests are starting up right about now! 3. What would you bring in your picnic basket? Good question! I adore summer picnics. I love caprese salad this time of year with the fresh tomatoes and basil in the garden, so that would definitely be there. I would also bring fresh fruit, sweet tea, sandwiches (my favorite is goat cheese, ham, and fig jam! ), and maybe something sweet like homemade cookies or cupcakes. 4. What's the last book you read? I wish I read more books! I often pick a book up and start to read it and never finish. The last book I read was A New Orleans Voudou Priestess by Carolyn Morrow Long - it's an interesting read about the legend and life of Marie Laveau. I was inspired to read more about her life after my trip to New Orleans and it was pretty amazing. 5. What color is your bathroom? We rent, so we left our bathroom the beige color it was when we moved it and instead spruced it up with a nautical themed collection of paintings, ships, and a bright green diver shower curtain. Probably a Phoenix. There is just something so beautiful about their mythology and rising from the ashes and all that. Life lesson to be learned? 7. Early riser or night owl? I'm an early riser! Even when I am not working, I am always up no later than 8 am. I feel like I just get the most done in the early mornings and I love that. 8. What's a word or phrase you use a lot? 9. Current desk top picture? 10. Do you like watching and or playing sports? If so, what's your favorite? Not really. When I was little, I was tomboy and a daddy's girl so I would go to Phillies games and I played softball for a few years in middle school. I was also on a kickball team a couple of years ago and that was fun, drunken silliness...but I am not really a sporty kind of girl. 11. If you had to choose between a million dollars and the ability to fly, which would it be? Oh! So hard! If I could fly, I could travel without needing a million dollars and it would just be amazing. I guess though, I would choose the million dollars so that I could travel AND own a dreamy house. 1. If you could have any super power, what would it be? 3. What is your favorite thing that you've ever made? 4. Who would you say is one of your greatest inspirations? 5. If you could have trade lives with one person for one day, who would you choose? 6. What is your idea of a perfect Saturday? 7. When you were little, what did you want to be when you grew up? 9. Where do you most want to travel to? 10. Why did you pick the city/town that you live in? 11. What song do you blast to pick yourself up out of a bad mood?